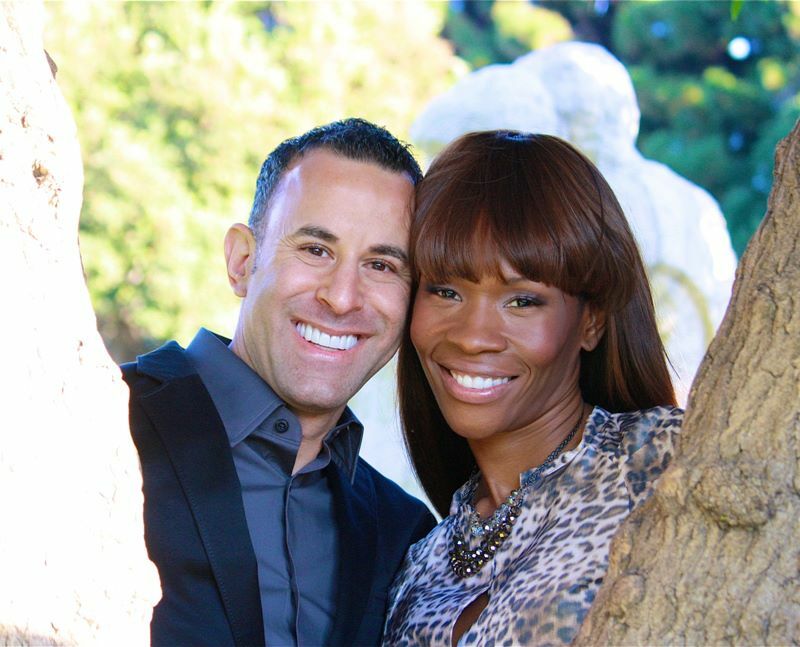 Dr. Brian Lewis and Pastor Tara Lewis are the breakout stars of the TLC reality TV show, “The Sisterhood”. The show focuses around the lives of preachers’ wives and how they interact with their families and church. Initially, the Lewis’ were not prepared for the journey they embarked on with the show. However, it’s safe to say that the Lewis’ have learned from the experience and are working on furthering their true passions and allowing the world to see their true story that God would like for them to share. Dr. Brian and Tara Lewis were expecting the show to be woven around the different families in this tell all TV show of a preacher’s family. Ironically, they found themselves on a show that was using the normal “reality TV” format- where there was plenty of drama and over the top characterizations. This was not what they expected, yet they continued with the show and decided to divulge their true selves and not indulge in any of the typical reality character roles. What was your experience on the show? Pastor Tara: It was definitely a format that I was not familiar with… the format of a wives show. It was difficult and straining. Yet, one where you had to be who you had to be. I had to just walk through the experience, despite the fact it was not what I wanted it to be. What do you think about religion and reality TV being combined? Do you ever think that religion can be integrated into modern TV such as reality TV shows? Pastor Tara: Once cast members are chosen properly that would be a good start. It would need to show people that are living out their faith and putting it to the forefront. Being black and being in a culture where there aren’t a lot of opportunities, entertainers left the reality world door open for us and unfortunately, it’s used in a way that doesn’t benefit the culture. It ruins it for all of us. It continues to build black women as angry, belligerent and fighting all the time. Dr. Brian: A lot of the shows are exploiting black women by promoting ratchet, super sexual behavior and it leaves uncouth statements about the black community. Unfortunately, it is supported by the community. The black community is being fed with this garbage. There needs to be a strong coming together to boycott these programs. And unless it is interesting, it probably won’t get views. It was rumored that, and I’m not sure if it was confirmed, that The Sisterhood will not run for a second season. What factors do you think contributed to that and do you think it’s because of the topic of religion on TV? Dr. Brian: Religion on TV had nothing to do with it. The show was not being promoted on TV. TLC viewers didn’t know it was on. It wasn’t promoted to the African American community and the church community. On a different network, we think it would have been a smash hit. They wanted high ratings. What is your religious background? I saw one scene where you were throwing your son Trevor a Christian Bar Mitzvah? Pastor Tara: We are Christians who celebrate Hebrew roots and participate in the holidays. We are a part of one faith and one religion and that’s Christ. Dr. Brain: I’m a Jew who believes in Jesus and it’s important to celebrate the culture. Bar mitzvahs are near and dear to me and I want my son to experience everything he embodies- my son is black and Jewish. Bar Mitzvahs are not religious ceremonies. What’s MomFit 4 Life and Phenomenal Life? Pastor Tara: I founded MomFit 4 Life to empower and equip moms everywhere with the tools to redefine themselves in the areas of fitness and fashion and to help them attain their personal wellness goals for themselves as well as for their families. Currently we offer MomFit Digital Magazine, MomFit apparel, the MomFit Training Program and an ebook titled Fit, Fine and Fabulous! Reshape Your Life Inside and Out! In addition, there are other projects in development and there’s a talk show idea around the MomFit concept. There are so many different opportunities. Dr. Brain: Phenomenal Life Today is a weekly talk show. It airs at 7am in Atlanta on Magic Johnson’s Aspire Network and we want to take it to a global network. We are also working on a reality docu-series focusing on our family. What are your goals now for life after The Sisterhood? Dr. Brian: We saw The Sisterhood as a platform to do some bigger things than just the show. I’ll be attending a church in London, England to preach. I would like to have more ministry, preach the word and to develop projects that are more positive and enlightening. Pastor Tara: I’m passionate and enthusiastic about my life. I’m a wife of 16 years, a mom, and a pastor and interested in fitness. I have a love for building, motivating and inspiring people to live phenomenal lives. I love being a part of what makes a person better in life.